Microsoft Application Insights is a new service in Microsoft Azure that is currently in preview. It is free while in preview and available in the new Portal. 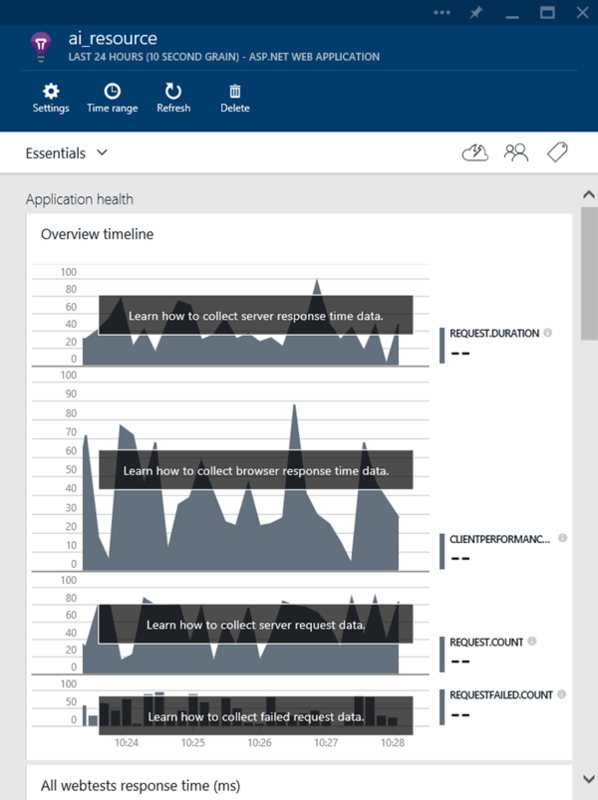 With Application Insights you can view telemetry data from your resources, find problems with your deployed apps and improve availability. It is easy to configure, even for the novice. 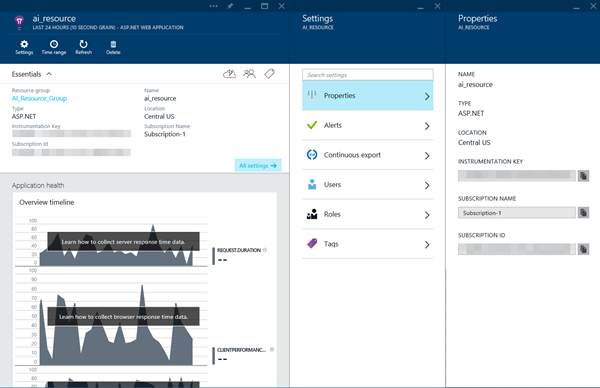 This wiki article will show you how to provision a new Application Insights resource. 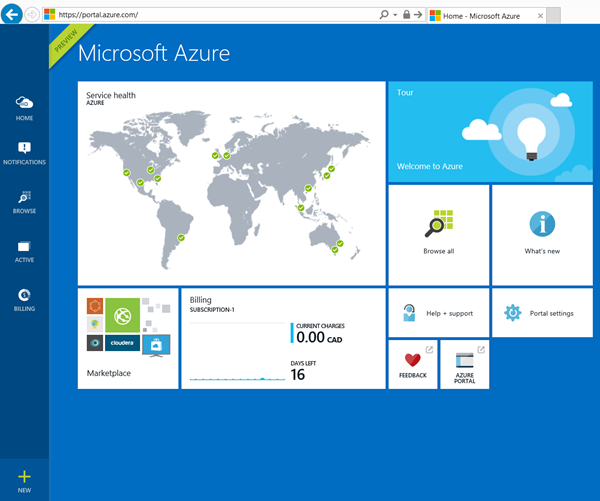 Navigate to the new Microsoft Azure Portal. 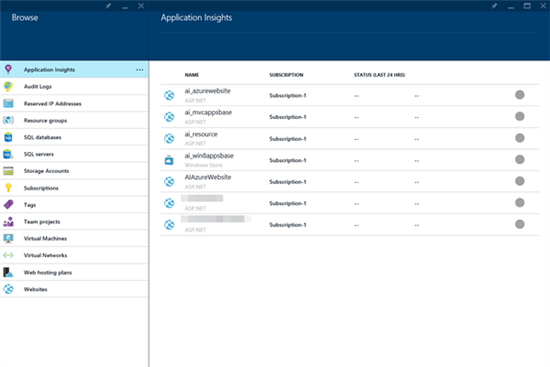 Enter a Name and choose an APPLICATION TYPE on the Application Insights blade. 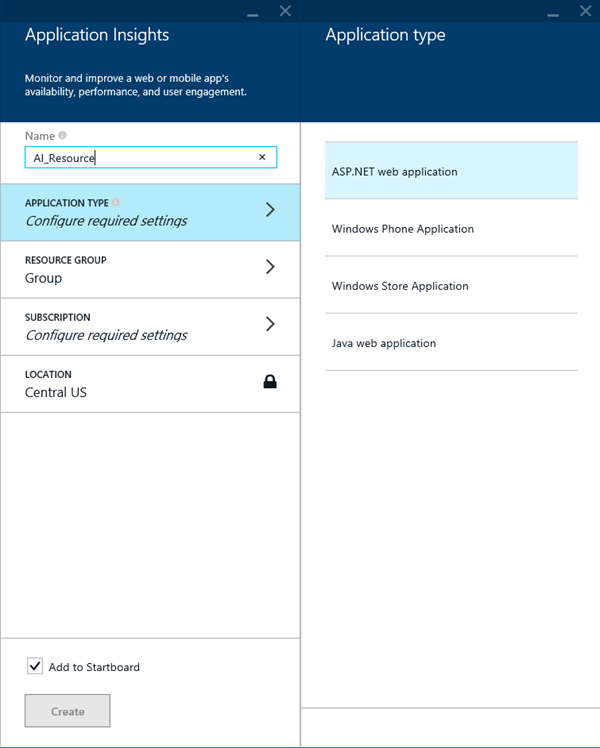 You can use Application Insights with the following applications: ASP.NET web , Windows Phone, Windows Store and Java web. A resource group is a logical grouping of Azure services. Placing similar items together, like an Azure Website and a SQL Server Database, allows the user to organize their infrastructure easily. Under RESOURCE GROUP you can elect to use an existing resource group or create a new one. To use an existing, click the name of the group. To create new, click Create a new resource group. Enter a Name for the group and click OK.
Click SUBSCRIPTION and select the Subscription that this resource will run under. 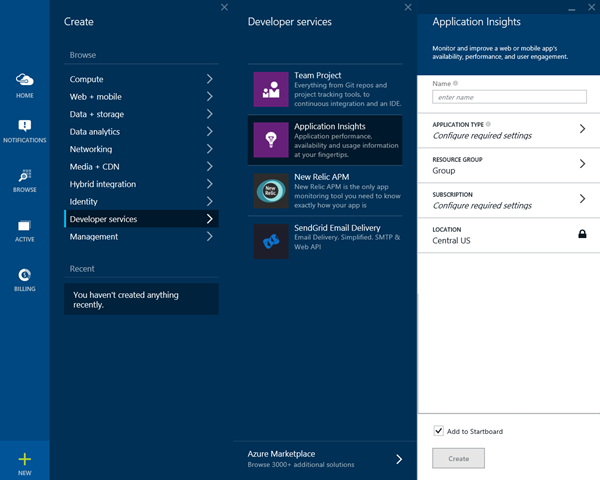 Leave Add to Startboard checked if you want to access the new Application Insights resource from your Home page. Click Create to provision the new resource. After you hit Create you will be returned to the Home page. On the Startboard you will see your new Application Insights resource being provisioned. 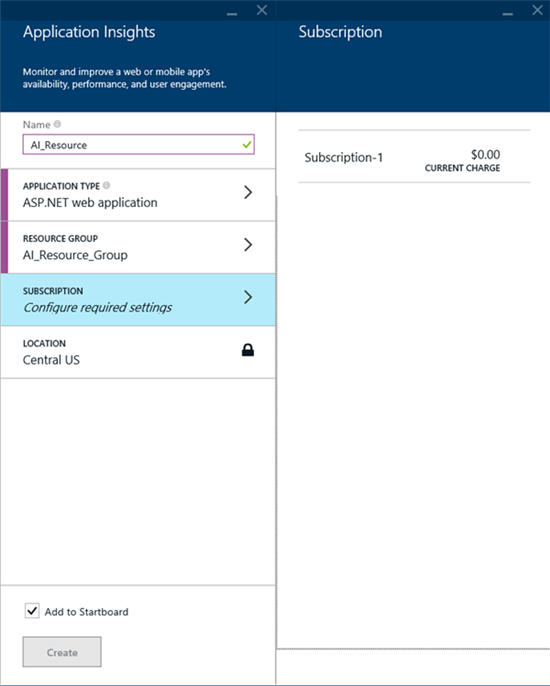 Once the Application Insights resource is finished building you will be redirected to it. There will be no metrics in the resource yet but you can still explore it. The Essentials area of the resource blade provides useful information like the Instrumentation Key, Subscription Id and Subscription Name. Clicking the All Settings link in the Essentials area or clicking the Settings menu item will display the Settings blade. Clicking Properties on the Settings blade will load the Properties blade with all the same information as the Essentials area. However, the field values can be copied using the Click to Copy button to the right of each field. 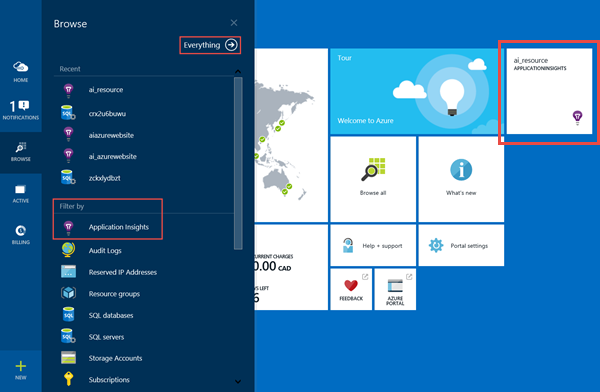 Finally, to access this Application Insights resource, or any other, click the HOME button on the navigation bar. You can access your active resource by clicking it on the Startboard. You can also find all Application Insights resources by clicking BROWSE on the navigation bar. You can then select the Everything link at the top of the Browse blade or choose Application Insights under the Filter by option. You will then see a filtered list of all your Application Insights resources. 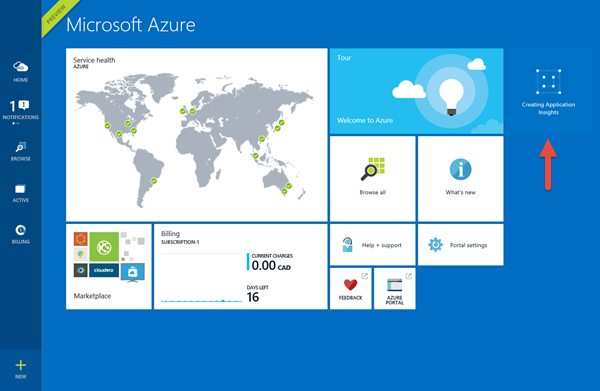 Microsoft Application Insights is really easy to provision and a nice addition to Microsoft Azure. The service is expanding as it now has four application types it can be used with. 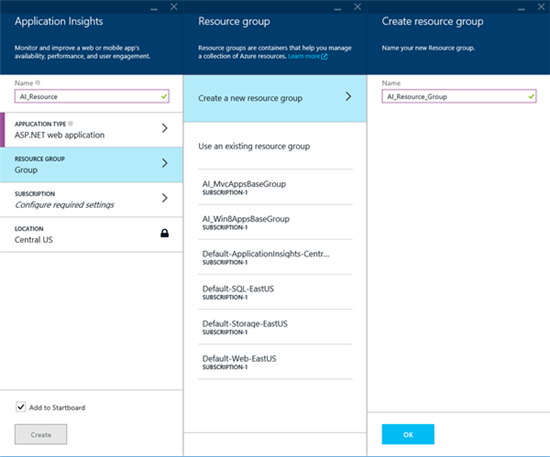 The fact we can use it inside resource groups means it can be incorporated into a full end-to-end Azure deployment. 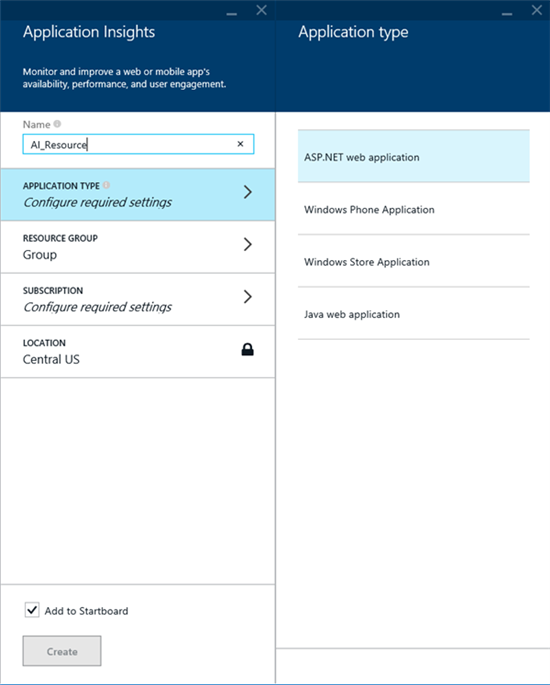 A reminder that since Application Insights is in preview mode information in this document may change in the future.